Peugeot unveiled at the Geneva Motor Show its all-new electric model - the Partner Tepee Electric, that doesn't necessarily bring with it any new technology. At the very least, the Tepee's uninspiring 22.5 kWh battery and 49 kW electric motor remains the same since 2012, and doesn't motivate us to go pick one up...regardless of how hip and attractive the leather jacket models are in the new ad spot. Overall, it still seems like fairly nice looking, functional van - if only it had the electrification specs to match. 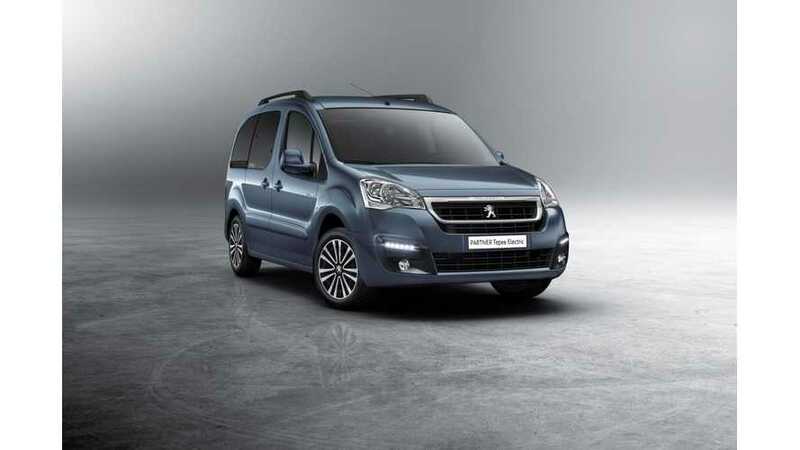 "The new Peugeot Partner Tepee Electric unites the advantages of the Partner Tepee leisure activity vehicle, which have made it such a success since its launch, and the pleasure of driving an electric vehicle. It offers comfort for five passengers with a generous, modulable interior. Its certified range of 170 km matches the driving practices of the great majority of European motorists who drive a daily average of fewer than 60 km. Peugeot Partner Tepee Electric thus opens up electric vehicles to new possible uses: carpooling with five people or leisure activities for the family, for example, are now compatible with electric mobility."